The criminal justice major offers students focused interdisciplinary exposure to all aspects of crime and criminal justice. Courses in the program deal with crime and other forms of deviance and the responses to these problems by police, courts, corrections and other organizations; contemporary criminal justice issues; and ethical concerns and research. Students majoring in criminal justice receive excellent preparation for further study in graduate or professional schools, as well as for careers in criminal justice. 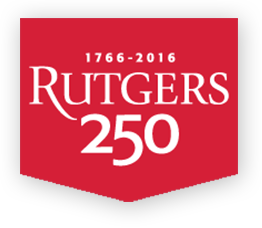 Rutgers School of Criminal Justice offers both Master of Arts and Ph.D. degrees in Criminal Justice. The Master of Arts program in criminal justice prepares students for positions of leadership and responsibility in government organizations and/or non-profits dealing with issues of crime, justice, and law-enforcement. It also provides advanced training in social science research and methods. This is achieved through coursework and hands-on experience that emphasize up-to-date knowledge about policies and practices in crime and justice, and the development of skills needed for students to become more effective agents of change in their chosen fields. The doctoral program in criminal justice is designed to provide students with a command of criminological theory, research methods, and criminal justice policy; as well as in-depth knowledge in areas of specialization within criminology and/or criminal justice. The doctoral degree is awarded based on evidence that the candidate has achieved a high level of proficiency in independent scholarship and research. This is assessed through course grades, the comprehensive exam, the production of a publishable quality empirical paper, and successful defense of the dissertation. Numerous fellowships, scholarships, and financial aid opportunities are available to undergraduate and graduate students pursuing degrees in criminal justice. Click here for more information.